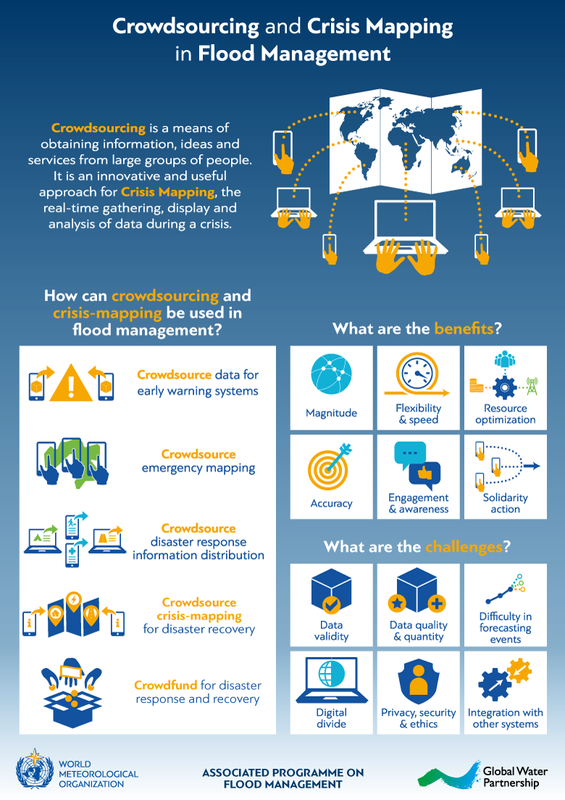 This interactive infographic illustrates possible ways of using crowdsourcing and crisis mapping in flood management, and highlights the benefits and challenges that come with this innovative approach. Click on the pulsing hotspots to learn more about each topic. For detailed guidance on this topic, download Crisis Mapping and Crowdsourcing in Flood Management. To download a PDF version of this infographic, click here. Did you find this infographic useful? Let us know in the comments below!